The DSi shop wasn’t supposed to go live until Sunday, but it looks like Nintendo opened it up late last night. We’ll have video shortly, but in the meantime check out the games and apps that are currently available. 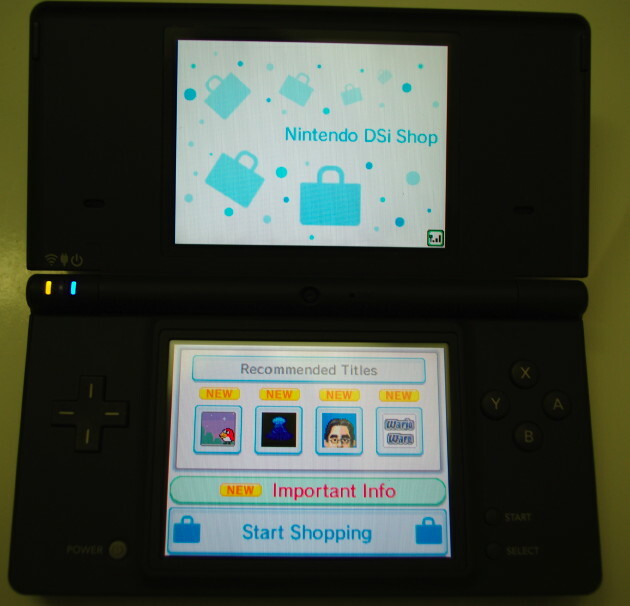 Videos are now live demoing the DSi Shop and the DSi Browser. 20,000 DSi points is the maximum number of points to purchase or have in your account. Birds & Beans details state that “This game content was previously released as part of WarioWare, Inc.: Mega Microgame$ for Bame Boy Advance. Master of Illusion Express: Funny Face was previously released as part of Master of Illusion for Nintendo DS. Points can be purchased in 1000, 2000, 3000, or 5000 blocks for $10, $20, $30 and $50, respectively.